To learn more about periodontics prevention and treatment options, call (503) 248-1114 and schedule an appointment with Rachel Cole DDS PC. In our Portland, OR dental office, we offer preventative care in order to reduce the likelihood of our patients experiencing gum disease. 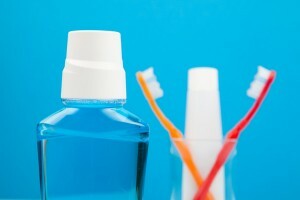 As a result, we recommend visiting our 97209 for a dental cleaning twice a year. Since the condition is typically caused by the buildup of plaque and tartar under the gum line, keeping the area clean will promote healthy gums. If, however, you do develop gum disease, we provide periodontics that can treat the condition and restore your health. Doing so is critical because this condition is often the precursor to tooth loss. Antibiotic treatment. To address the immediate infection, we may prescribe an antibiotic treatment. This should help reduce the inflammation and provide you with some initial relief. Pocket irrigation. A pocket irrigation is a thorough cleaning where the plaque and tartar are removed from hard-to-reach places, along with the pockets formed by gum recession. With plaque and tartar removed from under the gum line, your gums will begin to return to good health. Prophylaxis. Beyond a standard teeth cleaning procedure, prophylaxis generally refers to a comprehensive treatment plan where the plaque and tartar are removed from underneath and in between the gums, and the roots are smoothed. Prophylaxis may include supragingival cleaning, subgingival cleaning, root planing, and medication. If your gums are red, swollen, bleeding, irritated, or appear to be shrinking, call our Portland, OR dental office for an immediate dental cleaning and periodontics treatment. When you visit our 97209 office, we will let you know which treatment options we recommend for your particular situation, and will discuss an antibiotic treatment, pocket irrigation, and prophylaxis in further detail. Schedule your appointment with Rachel Cole DDS PC by calling (503) 248-1114.